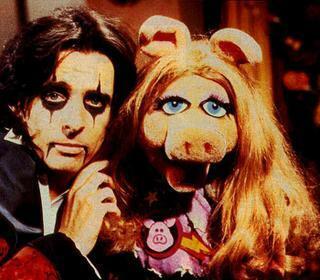 The Muppet tampil with Alice Cooper. from episode of The Muppet tampil with Alice Cooper as the guest bintang (from the album of Princessladybug74 at photobucket). Wallpaper and background images in the The Muppets club tagged: muppet show kermit miss piggy alice cooper guest muppets jim henson.